When Xiaomi first showed off the original Mi Mix, it was not a concept phone but a fully working device. Xiaomi had made a phone without bezels, except for the bottom and without a notch. They managed to remove the earpiece as well using the phone’s body as an earpiece. It was way ahead of its time then and clearly a niche product not everyone would want as a daily driver. The Mi Mix 2, Mi Mix 3 and the Mi Mix 2S that followed were improvements over the original, but still pretty niche. 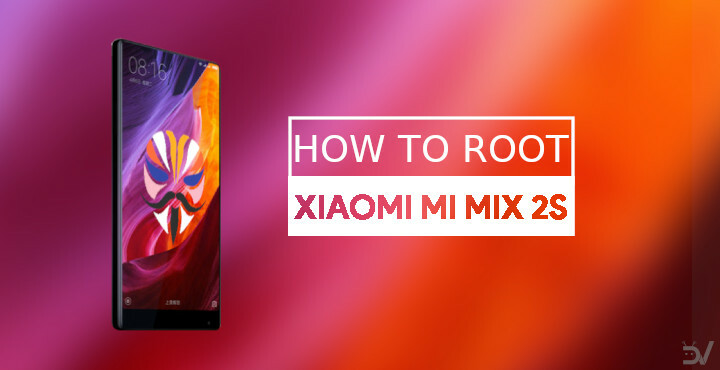 Today we’ll learn how to root Xiaomi Mi Mix 2S and install TWRP recovery on it. Rooting your Xiaomi Mi Mix 2S will definitely void your warranty if you still have one. Moreover, flashing a custom recovery and using it to flash third-party mods can be risky. You may end up bricking your device. If you’re here though you’ve probably already made up your mind about it. We make sure to keep the guides as detailed and accurate as possible. The method mentioned in the guide has been successfully tested by many users as well. Yet, there is always a chance that things might not work the way they’re supposed to for everyone. As such, neither the developers who find these methods nor DroidViews take any responsibility for any harm that may come to your device. You must understand that meddling with your device using elevated privileges can produce unexpected results. Thus, you will be the only one responsible for any damage done to your device. A Xiaomi Mi Mix 2S with an unlocked bootloader. You’ll need a Windows, Mac or Linux computer with ADB and fastboot installed and set up. We have dedicated, detailed guides on how to do just that for all the three platforms. You can check them out by following the links below. Enable USB debugging and OEM Unlock on your Mi Mix 2S. To do this go to your Settings > About phone. Now tap on the MIUI version 7 times until you see a toast message “Developer option enabled”. Go back to Settings > Additional Settings > Developer Options and enable OEM Unlock and USB Debugging. Download the unofficial TWRP image linked above and rename the file as recovery.img then place it inside your adb folder. Similarly, rename the magisk file to magisk.zip and place it in the adb folder as well. Connect your Mi mix 2S to the PC with a USB cable and launch the ADB command line interface. Grant ADB debugging permissions to the PC on your phone if asked. Use the following ADB command to reboot your device into fastboot mode. Now we can flash the TWRP recovery, but when you boot to MIUI 10 again, it may overwrite the TWRP recovery with the stock recovery again. That makes it a bit pointless to flash it. We do need TWRP to flash Magisk in order to root the device though. For that, we can simply boot to TWRP without flashing it. Enter the command given below to do that. In the command above, replace /path/to/ with the actual path to the twrp file. You don’t need to type a path if the twrp file is already placed in the adb folder. You’ll also need to type the correct file name of the image file in case you did not rename it to recovery.img. Your phone will boot up in TWRP recovery. Go to Advanced > ADB Sideload and swipe at the bottom to start it. Similarly, as before, it is easier to just place the Magisk zip inside your adb folder so you won’t have to type the path to it. When that is done, reboot your device and you should see the Magisk Manager app on your device and be able to grant root access to apps that require it.